This book and exhibition are part of a growing family of research projects about the African American community of Gee’s Bend, Alabama, and its quilts. Surrounded on three sides by a river, Gee’s Bend developed a distinctive local culture and quilt design aesthetic. In 2002 the inaugural exhibition The Quilts of Gee’s Bend documented these quiltmaking achievements. Presented at thirteen major museums around the United States, the show prompted an outpouring of popular interest and international critical acclaim. 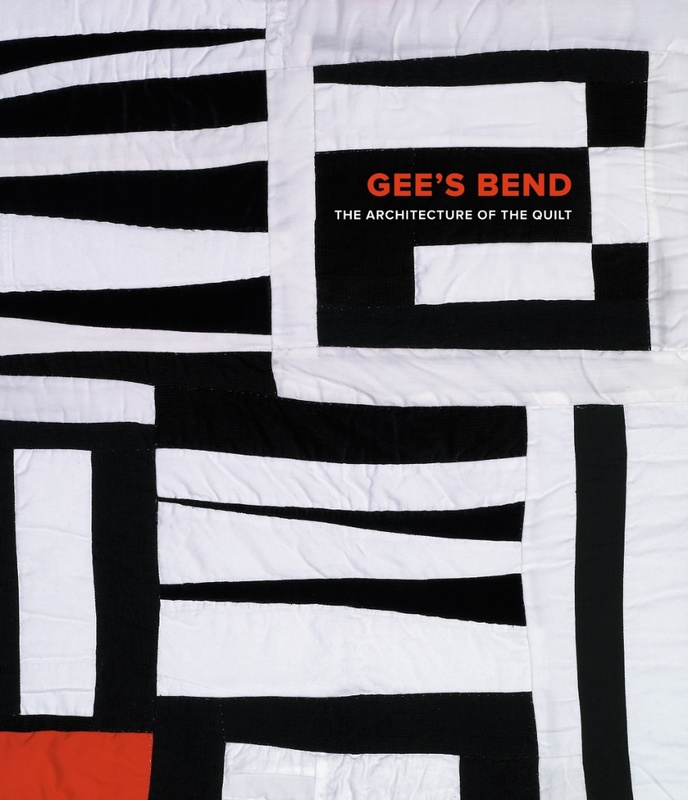 Expanding upon that initial exhibition and its accompanying publications, Gee’s Bend: The Architecture of the Quilt offers a deeper look into the women and their art, and a more focused investigation into the nature and inspirations—and future—of the Gee’s Bend quilt tradition. The seven hundred or so inhabitants of this small, rural community are mostly descendants of slaves, and for generations they worked the fields belonging to the local Pettway plantation. Quiltmakers there have produced countless patchwork masterpieces beginning as far back as the mid-nineteenth century, with the oldest existing examples dating from the 1920s. Enlivened by a visual imagination that extends the expressive boundaries of the quilt genre, these astounding creations constitute a crucial chapter in the history of African American art. The Quilts of Gee’s Bend brought the community to national prominence, presenting Gee’s Bend as a place that had nurtured a remarkable artistic phenomenon. Most importantly, the exhibition and accompanying books provided the quiltmakers with a new view of themselves as acclaimed artists working within a venerable tradition. Able to see their creations within abroad history of materials, patterns, and meanings, the women of Gee’s Bend suddenly had access to a wider expressive vocabulary in addition to their individual styles. The result was a renaissance in Gee’s Bend quiltmaking. Soon older quiltmakers who had stopped production were quilting again, and a younger generation was taking up the practice. About a third of the quilts in Gee’s Bend: The Architecture of the Quilt have been made since the opening of the first exhibition four years ago. A uniquely American art tradition, formerly fading, has revivified itself. Featuring essays by scholars and by the artists themselves, this volume considers the ways that materials influence the creative process and have played a central role in the evolution of Gee’s Bend quiltmaking; the significance of family and community in forging and sustaining quiltmaking practices; and the bold, improvisational aesthetic at the heart of the area’s patchwork tradition, with its stunning abstract designs and highly inventive “bending” of conventional quilt geometries. The book also tells the story of a quiltmaking heritage of five generations of women descended from a single matriarch, a slave named Dinah Miller. Finally, the book features the voices of three contemporary quiltmakers—Loretta P. Bennett, Mary Lee Bendolph, and Louisiana P. Bendolph. They describe their lives as quilt makers, the ideas behind their work, and the influence of other women—close relatives, distant ancestors, and other quiltmakers—with whom they have learned, borrowed, and shared. Throughout, the underlying theme remains the “architecture of the quilt,” the ways Gee’s Bend quilts are conceived and built and how they ultimately become structures that organize identity and seal human relationships. An extraordinary yet previously unrecognized aspect of art history, the quilts of Gee’s Bend epitomize the continuing need to identify and preserve neglected areas of cultural accomplishment. They open the door to new cultural understandings.